Recently, I was reminded of a time in my life when I was deeply hurt because I was excluded. I wasn’t chosen to participate in an activity while most of the teens in my age group were. No explanation was given for the selection criteria, but for the first time in my life, I felt like a reject. I began to examine what it was about me that made me not good enough to be chosen and came up with a list that probably wasn’t accurate, but seemed reasonable at the time. I hadn’t thought of this incident for over forty years until someone posted a video on social media. Then, all the old feelings of exclusion and unworthiness came rushing back as people commented about recognizing various people in the video. Often, we think we’ve moved beyond a hurt, when, in fact, all we’ve done is push it down and cover it over with sarcasm or pretended indifference. Eventually, we stack enough on top or the hurt to shove it to the back of our minds and the bottom of our hearts, but it’s still there. And when the hurt suddenly resurfaces, old scabs get knocked off, and it’s a major tripping point to forward motion. Wounds define us – While we don’t think they do or don’t want them to, emotional wounds have a far-reaching impact. Looking back on this incident, I can understand why feeling excluded has been an issue at other times in my life. I might have handled these other times better if that incident as a teen hadn’t happened, but maybe not. Other things factor in as well, like my personality type or growing up an only child. Regardless, unhealed wounds shape our actions and reactions. 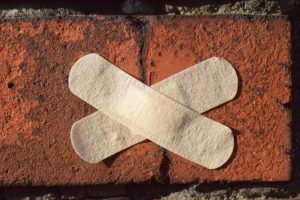 Wounds have to be processed – It’s not much fun, but to truly get over an old wound, you have to pull it out of the achieves, dust it off, inventory the feelings, and process the hurt. Acknowledge your feelings, but also be willing to admit your perception of what happened might be skewed. Should I have been able to handle the initial incident of exclusion better? Should I have been more mature? Of course. But 16-year-olds are rarely emotionally mature and everything is magnified during the teen years. Do I still need to work on my feelings and reactions when not included in something? Most definitely. Wounds require forgiveness – Ah, yes, our old friend forgiveness, which is at the heart of all aspects of moving forward. Let’s be honest. Forgiveness is hard. Very hard. What we’d rather do instead of forgiving is see the person we blame for our hurt get some sort of comeuppance. We want to watch while that person experiences something embarrassing or is found out for a transgression or is excluded. We want the other person to hurt as we’ve been hurt. But in failing to forgive, we chain ourselves to past and never allow wounds to heal. Forgiveness brings freedom. 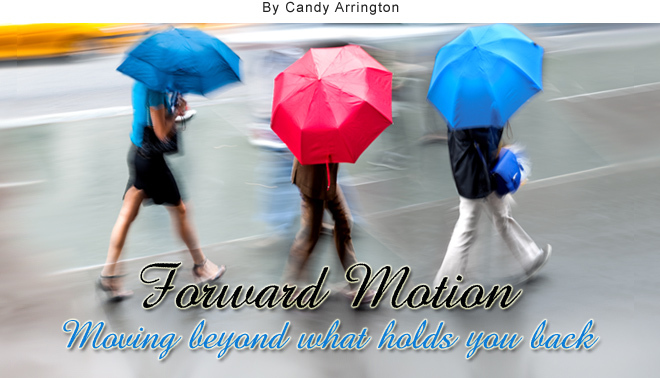 Feelings are the Caboose – Feelings are usually the last thing to follow once we decide to let something go and move on. You can make a conscious decision to get beyond hurt, but often feelings are the wobbly red thing at the back of the train. Perhaps you have unearthed an old wound and are steadily moving toward getting over it when suddenly feelings decide to jump the tracks and slow you down. Find the tools you need to get back on track. Let the wounds heal and continue your journey.